> Opinion > *Have your say! The recent first-round of ‘peace talks’ between the Karen National Union and the Burma government in Pa-an on 12th January raised a lot of expectations within the international community, the Burmese community and among Karen people living inside Burma and those living overseas. In a series of interviews, Karen people shared with Karen News their opinion, their hopes and thoughts on the prospect for reaching a lasting peace with the Burma government. 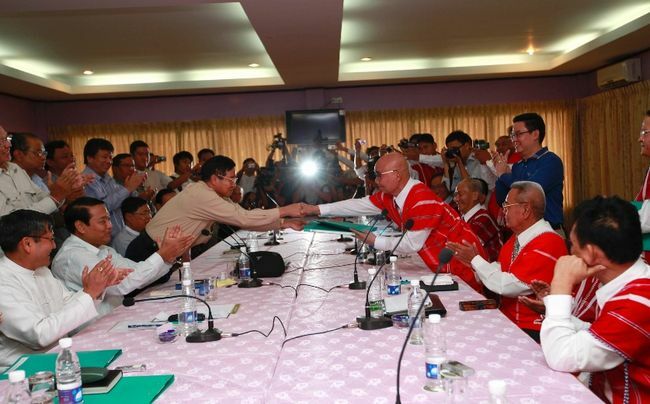 “The KNU dialogue with the government was started by an approach by the P’low-Sqaw Party in Karen State. Minister at the federal level will have to implement the peace process. We have discussed five points at the state level and an eleven points at the union (federal) state level. If we put them together that is 16 points. This is wonderful. For those of us who live in this land and in Karen State it will make us the happiest people. A ceasefire is good news for those people who have had to live in a war torn area, who have had to run from the fighting and conflict for more than 60-years. I don’t know exactly and cannot make a decision about whether the process will be a true or false agreement. We have to wait and see. But they are saying there will be peace and if it that happens it will be wonderful.